I love reading. One of the things I miss from my life with out kids is sitting down to read a book and finishing it cover to cover in one day. I don't read much at all these days and if I am reading it's often a book on parenting. While in Mexico I read two books! Felt great to sit down and just read. 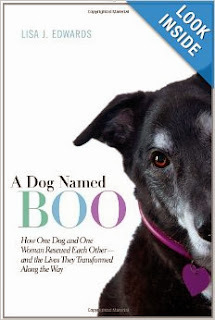 One was called A Dog Named Boo by Lisa J. Edwards and the other was The Brave by Nicholas Evans. A Dog Named Boo was true story about a dog with some health issues that ended up overcoming them and becoming a wonderful companion/service dog. There was a lot of information on the world of service dogs and some of that got a bit dry and slow. Overall it was a good read. 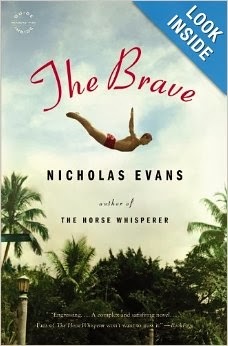 The Brave told the story of a boy growing up in boarding schools and how that effected his entire life, along with a family secret. The tales of the boarding schools were horrific at times and had my stomach in knots. Though this is fiction, I can only imagine that there is truth in those tales at many boarding schools around the world. I enjoyed how the book unfolded. It did wrap its self up nice and neat at the end which sometimes is just what a reader needs. I've read many books in my time. One of my favorite things about reading is when I come across a misspelled word. I just find it funny and fascinating that a misspelled word gets by all those proofs, edits and editors. I remember recently reading one book that had at least 5 errors in it. It was a fun game to play while I was reading....find the misspelled word and you win a Grammarly Check. What books have you read lately? Found any grammar errors? *This post was sponsored by Grammarly Check. All opinions or thoughts are mine.